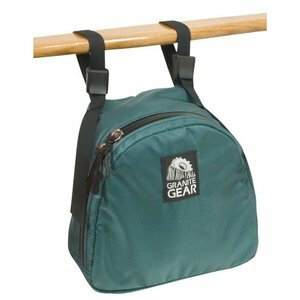 The Granite Gear Bow bag gives bow paddlers quick and easy access to items they may need in a hurry, such as rain gear, sunglasses and bug repellent. It attaches to the front grab bar on most tandem canoes. Built with High Tenacity 210 Denier Cordura.